The new Clinical Research Center offers four examination rooms, four long-stay rooms, two infusion rooms, laboratory facilities, and a phlebotomy station. Two other important features include a pulmonary function lab and an investigational drug pharmacy. Unlike a typical pharmacy, it can store, prepare and dispenses investigational products according to strict guidelines, assuring confidentiality and study integrity. It also offers access to highly trained research staff with expertise in Phase I – IV clinical trials as well as nursing and laboratory services for all clinical trial needs. The center is available to researchers throughout Rutgers University. It is also open to supporting outside investigators. The Adult Clinical Research Center is one of five research units at Rutgers. The University is the lead academic partner for the New Jersey Alliance for Clinical and Translational Science. The Pediatric Clinical Research Unit at Robert Wood Johnson Medical School is one of very few in the United States devoted exclusively to pediatric clinical investigation. 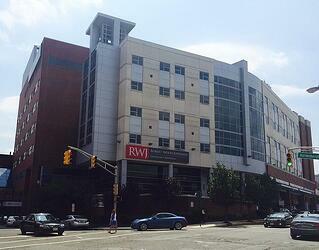 Robert Wood Johnson University Hospital (RWJUH) is a 965-bed academic medical center. 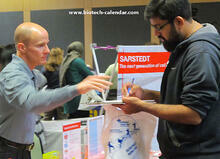 The 4th Annual BioResearch Product Faire™ in New Brunswick, NJ will be held on Wednesday, May 9, 2018. 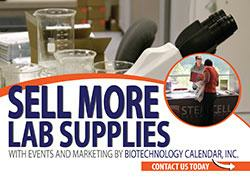 This biotechnology trade show hosted by Biotechnology Calendar, Inc. is a great opportunity for laboratory equipment suppliers to meet face to face with the scientists at Rutgers to discuss their needs and demonstrate the latest in research technology. This event is expected to attract over a hundred life scientists from 19 different research buildings and 21 on-campus departments.